This is a reading project that you can use with any book! 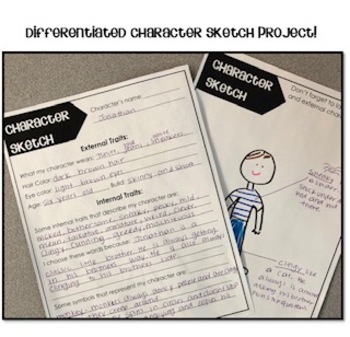 Students will analyze the internal and external traits of a character and create a sketch including symbols that represent the character. This included two versions for easy differentiation. Also a checklist and rubric is included! These can be used whole group, small group in partners or in reading centers!